We partnered with The Fulfillment Lab to build a browser-based fulfillment system that could handle a global reach and manage shipments in real-time. In the fast moving world of fulfillment, it is important to have the data you need, when you need it. This is more than just software development. The Fulfillment Lab is all about continual improvement with every process they put into place. The GFS software needed to facilitate those changes and in some cases enforce the process to ensure accurate and on-time shipping. 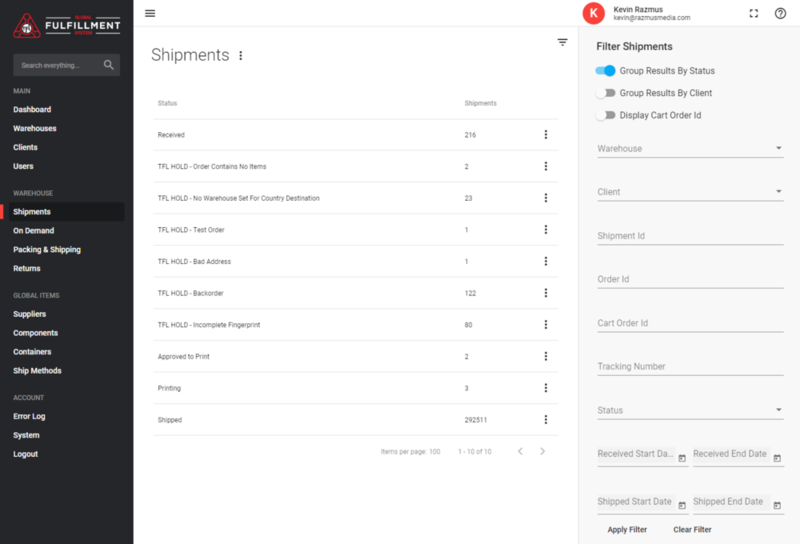 Running a fulfillment center and warehouse management are one thing, but we also need to give insight to the clients who use The Fulfillment Lab. GFS needed to have both internal and external insights into products, shipments, billing, etc. Processing payments is critical to running a real-time business with a global reach. Tracking payment and applying them to clients must be seamless and accurate. Accepting many different payments is a must, for example ACH transfers to add credit to your GFS Wallet™, and a wide array of credit cards as well as wire transfers. From creating an order to shipping a shipment and posting tracking.